While most people think a contract is a signed legal document that dictates specific terms for two or more parties, the legal definition of a contract allows for a broader set of terms. It is important to understand what is legally considered a contract to best avoid breach of contract disputes. Contracts must contain two elements, (1) all of the parties involved must be in agreement, and (2) something of value must be exchanged. This does not specify whether the contract has to be written, nor does it require that cash be exchanged, just something of value. 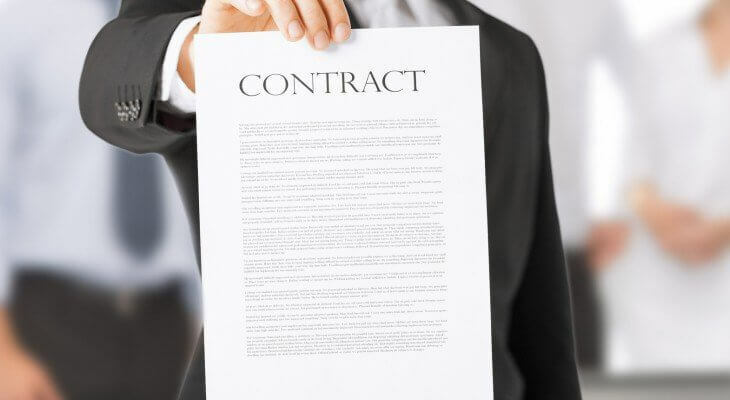 To best avoid contractual disputes, it’s crucial for individuals and business owners to know when they are committing themselves or their businesses to contracts. When another party makes an offer, whether it’s oral, in a written document, or electronically (via email), your response will dictate whether or not you’ve entered into a contract. If you agree to the offer, whether verbally or in writing, you are bound to uphold your end of the contract. If you refuse the offer, or choose not to respond at all, you have not agreed to enter into a contract. One of the most common sources of business disputes is breach of contract. Once a legally enforceable contract is in place, parties involved have a legal responsibility to uphold their duties stated in the contract. When they fail to do so, they can be held responsible for breach of contract. Oftentimes after a breach of contract, parties unintentionally waive their rights, or fail to take proper steps to preserve claims for damages. The experienced attorneys at Burford Perry can help make sure you protect yourself and your assets, and ensure the other side honors its promises. Contact us today if you feel like a contract you agreed to is not being upheld.